February 29, 2016 — BOISE, Idaho (AP) — Solar-powered trackers on wings have recorded California condors soaring to 15,000 feet, while locators attached to humpback whales have revealed 1,000-foot dives to underwater mountains. And GPS collars on Yellowstone grizzly bears are giving new insights into one of the most studied large carnivore populations in the world. Technological advances in recent years have allowed what could be the most inquisitive Earth dweller of them all, humans, to invent ever more ingenious tracking devices to find out what their fellow inhabitants are up to. Scientists say the trove of information thanks to ever smaller, tougher and more powerful tracking devices is leading to discoveries that could be used to make better wildlife and habitat management decisions. The devices are also revealing the secret lives of hard-to-study animals. For example, Zerbini said, scientists recently discovered humpback whales diving to underwater mountains on a regular basis, and also making the dives during migrations. In Yellowstone National Park and the surrounding area, more sophisticated tracking devices on grizzly bears are providing information, notably on their ability to find food, that could be a factor in whether Endangered Species Act protections are lifted. February 26, 2016 — Sardines off the West Coast have continued on a steep decline, with populations this summer forecast to be down 93 percent from a 2007 peak, according to a draft assessment from the National Marine Fisheries Service. The sardines are a key forage food for sea lions, salmon and many other species, as well as a source of income for commercial fishermen. In some years, sardines have been worth from $10 million to more than $20 million annually to a West Coast fleet. Last year, the sardine implosion was so severe that the Pacific Fishery Management Council voted to call off the season that was scheduled to start in July for West Coast fleets, including those in Washington state. This year, as the council meets this spring, it will have more bad news on sardines to review. The stocks of sardines aged one year or older are forecast to be 64,422 metric tons, about a third lower than the 2015 assessment. Albert Carter, of Ocean Gold Seafood in southwest Washington, said sardines are a significant part of the company business when populations are strong. Carter, who serves on a Pacific Fishery Management Council advisory committee, said he has not had a chance to review the new sardine assessment. But he said if populations have continued to decline, he does not expect a 2016 season. Trawling in Australian waters has been an environmental issue for the last few years. In December 2014, Australia banned “Supertrawlers” a designation of fishing boat larger than 130m. A controversial point of the ban is the definition of “supertrawler”, which currently does not consider processing capacity, just the size of the vessel. One year later, than specific ban is still in place. However environmentalists are now calling for a further ban on all “large” trawlers from Australian waters. Adding to the controversy was the recent “all-clear to fish again” given to the Geelong Star, a “large” vessel (although it is less than 130m in length). This factory trawler caused seven albatross deaths a few months ago when they accidentally got caught in its sonar gear. Environmental organizations argue it shouldn’t have been there in the first place because ships of this size can cause harm to sensitive species (like these albatross) regardless of where they fish or how careful they are. After effectively banning “supertrawlers” environmental NGOs now seek to ban all “large vessels” from Australian waters. The fundamental objectives of fisheries management are to ensure that what is removed is sustainable and that the effect of the methods used for its removal is compatible with society’s expectations for ethical behaviour, animal rights and ecosystem sustainability, including interactions with the broad marine food-chain. In this regard Australia has achieved tremendous success in the conservative management of fish stocks in recent years (from approximately 40% of species in Commonwealth managed fisheries being assessed as overfished in 2004 to none being subjected to overfishing in 2014). This success has been based on commitment to three fundamental principles; first, appreciation that sustainability of fishing activities and the underlying resource base is paramount and achievable, second, elimination of truly destructive fishing practices and strict control of fishing that causes even localized damage to underlying ecosystems and third, strict control of catches, including of by-catch and incidentally impacted species. But Australia has a very poor record in developing new fisheries and reducing our reliance on imports from countries with less conservatively managed resource use. With this premise of effective fisheries management in mind, consider the following comparisons between a fishery with many small trawl vessels and a fishery with fewer, larger trawlers. Bycatch and discards would be easier to monitor and process on a smaller number of large trawlers. All forms of trawling are minimally selective, regardless of vessel size. The advantage of individual larger trawl vessel is that these facilities are more likely to have the capacity to separate, process and store bycatch species to make them available for sale upon landing. Additionally these larger vessels are equipped with better data collection technology to properly count and assess bycatch rates for better policy making. Indeed all forms of data collection and research are facilitated on larger vessels. Larger vessels are also better suited for high seas fishing, which could have two major advantages over a small-vessel fleet. First, it could diminish fishing effort in in-shore areas where marine protected mammals are disproportionately concentrated. Second, it would allow Australian fishing effort to exploit underutilized stocks in the more off-shore areas of the EEZ and into the high seas. This could bolster food security and serve to address the lopsided trade imbalance in seafood that currently exists. If Australians hope to eat 40% more seafood, as is prescribed by the NHMRC, new harvest practices must be adopted: a large vessel fleet is better equipped to bring greater amounts of high quality seafood to market. The larger the fishing vessel the more stable the onboard workspace. Smaller fishing vessels are inherently more dangerous than larger counterparts that can offer more stability during harvests in poor weather conditions. On the matter of recreational fishers in opposition of large trawlers, there is little evidence for this claim. Larger commercial vessels would not be any more disruptive to important food supplies of major sport species, such as bluefin tuna, than greater numbers of small commercial vessels. In fact fewer large vessels would be less likely to overlap with important sport fishing territory and would be easier to relocate to offshore areas if a conflict arose. Most importantly though, it is not food supply that has driven southern bluefin populations down, it is commercial and recreational fishing effort for them. To point the finger at “supertrawlers” for impacting southern bluefin tuna distribution and food supply is illogical and not supported by the scientific evidence. When referencing the scientific input in Australia it is important to note that Commonwealth fisheries scientists – those that are responsible for the science and rationale behind large trawlers – have, largely because of their government positions, been regrettably absent from most debates on this issue. Sensationalism from uniformed advocacy groups has thus been allowed to dominate the airwaves. Perhaps most compelling for the development of a rational approach to “supertrawlers” is the simple fact that a fishery with fewer, more data sensitive vessels, despite being larger in size, would be far easier to ensure compliance with conservative regulations than many smaller vessels with questionable data collection capacities. Australia’s advances in fisheries management have been reliant on effective compliance efforts and unjustified restriction of “supertrawlers” is in direct conflict with that successful methodology. It is also contrary to the logical objective for Australia to be at the forefront of technological development and implementation, which has been recently confirmed by the Australian Prime Minister.Robert Kearney is a professor emeritus at the University of Canberra. Read some of his writing here. February 26, 2016 — Rising global temperatures combined with an especially powerful El Niño are causing one of the biggest coral reef die-off events ever recorded. The researchers, who are monitoring and forecasting offsite link the loss of corals from disease and heat stress due to record ocean temperatures, report that the global coral bleaching event that started in 2014 could extend well into 2017. Approximately 500 million people worldwide depend upon reefs for food and to protect coastlines from storms and erosion. Coral reefs provide habitat, spawning and nursery grounds for economically important fish species; provide fishing, recreation, and tourism jobs and income to local economies; are a source of new medicines, and are hotspots of marine biodiversity. Reefs contribute approximately $29.8 billion to world economies each year. In the United States, NOAA Fisheries estimates the commercial value of U.S. fisheries from coral reefs is more than $100 million. According to Eakin, the length of the event means corals in some parts of the world have no time to recover before they are hit by more bleaching. The current global bleaching event is hammering some reefs repeatedly. Scientists first observed the current global coral bleaching event beginning in mid-2014, when bleaching began in the western Pacific Ocean. In October 2015, as the current El Niño was still strengthening, NOAA scientists declared the third global bleaching event on record was underway. Anchorage, AK — February 25, 2016 — U.S. Senator Dan Sullivan chaired a Senate Commerce Subcommittee on Oceans, Atmosphere, Fisheries and Coast Guard hearing, coined, “Magnuson-Stevens Act at 40,” that examined the law’s effect on directing the country’s fisheries. The legislation is named after Alaskan U.S Senator Ted Stevens. 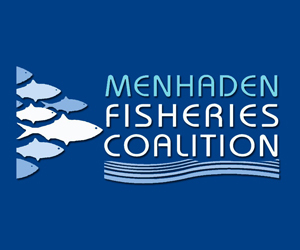 Senator Sullivan also examined issues that may improve the Magnuson-Stevens Fishery Conservation and Management Act (MSA), which was previously reauthorized in 2006. 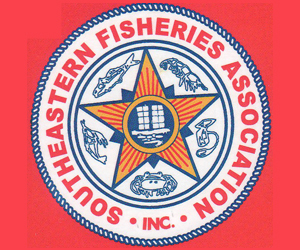 February 24, 2016 — Commercial fisheries may see taxes increase, but only if other resource industries do, too. Under a budgetary thundercloud, Gov. Bill Walker is trying to squeeze funding from any source. A commercial fisheries tax bump, part of nine such bills in the Legislature, has slowed to a crawl in committee as fishermen decry it. Fishermen, and House Fisheries Committee chair Rep. Louise Stutes, R-Kodiak, fear Walker’s tax plan could disproportionately pinpoint the commercial fishing industry while other resource taxes die. Stutes said during a Feb. 23 committee hearing that she’ll hold the bill in committee until further study. United Fishermen of Alaska, the state’s largest fishing industry group, brooked little opposition to the bill during a February meeting, but cracks appeared once Stutes opened the committee to public comment. The committee heard from fisherman that the tax plan seemed poorly thought out. 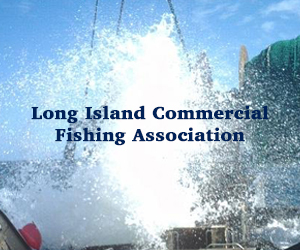 House Bill 251 would levy a 1 percent increase on commercial fisheries taxes. Current rates range from 1 percent to 5 percent, depending on the category. Comment from two separate hearings on Feb. 18 and Feb. 23 called the tax plan too simple, too rushed, and too ignorant of the other resource taxes in the state. 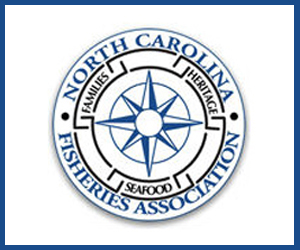 A 1 percent across-the-board raise, fishermen said, ignores the industry’s nuances and unique challenges. The fisheries tax schedule is one of the more complex in Alaska tax code. The fisheries business tax and fisheries resource landings tax sprawl across different categories and sectors. The state levies a fishery business tax and a fisheries resource landing tax, which distinguish between established fisheries and developing fisheries, each with different rates for floating processors, salmon canneries, and shore based processors. The 1 percent tax rate increase doesn’t make enough distinctions, industry said. 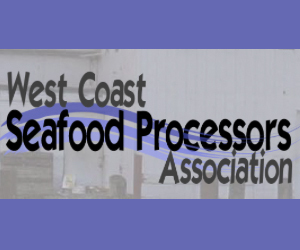 “The approach HB 251 takes is quite frankly oversimplified,” said Vince O’Shea, vice president of Pacific Seafood Processors Association. O’Shea, along with Icicle Seafoods representative Kris Norosz, pointed out that a 1 percent increase could conceivably work for some sectors but would stress salmon canneries, which are glutted with oversupply and having trouble profiting at the current 4.5 percent cannery rate. 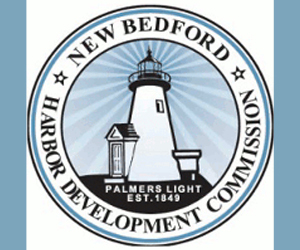 Ken Alper, director of the state’s Department of Revenue Tax Division, said the 1 percent tax rate bump aims to bridge the gap between the state’s spending on fisheries management and its revenue. 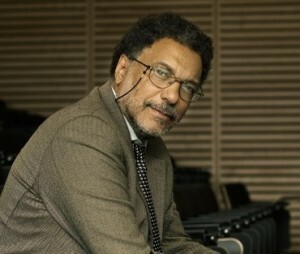 NILS STOLPE: Are You Getting the Idea That If You’re a Fisherman Daniel Pauly Isn’t On Your Side? This quote by the Pew Charitable Trusts’ premier fisheries researcher says just about all that needs to be said about the ongoing anti-fishing campaign that they have been financing, along with a handful of other mega-foundations, to convince anyone who is willing to listen that, in spite of a dearth of compelling scientific evidence supporting this strum und drang , the world’s oceans are – and have been – facing a crisis brought about because of the depredations of commercial fishermen. Where are the Kardashian’s when Pauly really needs them? Just imagine a scientist, any scientist, willing to publicly discount scientific proof and instead embrace the cachet of celebrity to sell his message of doom and gloom in the oceans. And then imagine multi-billion dollar “charitable” foundations eager to support him in these efforts, all in the face of rigorous opposition from well-established scientists who dismiss this rabble rousing for what it is; full of sound and fury but signifying not very much at all. To help in putting his most recent round of pronouncements on how bad fishing is supposed to be in the proper perspective, I’ve highlighted – because “lowlighted” isn’t yet an accepted term, but there’s always hope – a number of his sky is falling predictions that I’d consider on a par with his “we don’t need sound science, we need high profile personages” plea up above. The attack of the mud trails! Back in 2007 Pauly and another researcher generated an inordinate amount of publicity by releasing some satellite images of “mud trails” caused by shrimp trawlers fishing over the Yangtze River delta off China’s coast. 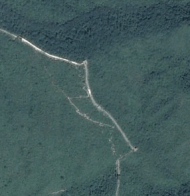 Said Pauly of these images “think of the story about China’s Great Wall being the only human artefacts visible from space. Now we can add the mudtrails of trawlers. But not only trawlers from China – from all over the world.” Note that in 2007 Google Earth had been available for several years. Contrary to Pauly’s contention, Google Earth made available via satellite imagery many millions of “human artefacts,” including the four skylights on my house and the patio furniture on the patio. But we wouldn’t want anything like accuracy interfering with a good story, would we? As far as Pauly’s supposed damage by these mud trails, ten minutes of “research” with Google revealed that the Yangtze River delta contains 500 billion tons of sediment that ranges from three to one hundred and thirty feet deep. Obviously any critters living over or in this sediment are evolutionarily equipped to handle suspended – or resuspended – sediment, and the little bit extra that is kicked up by trawlers isn’t going to amount to a tinker’s damn to any of them. But then again, how effective would this level of crisis mongering be if it was constrained by reality? In his article Aquacalypse Now (New Republic, 09/28/09) Pauly wrote that when the oceans had been stripped of the larger, more visually appealing fish, “boats began to catch fish that were smaller and uglier.” While, given any familiarity with the history of seafood consumption at all, I couldn’t imagine his “Bono” or “Mandela” buying into this one, it appears as if nothing like reality is going to stand in the way of a tale Pauly is set on telling. Picture sea cucumbers, oysters, monkfish, sardines, whitebait, eels, lobsters, clams, crabs, palolo worms, geoducks, etc. All of these, and many other small or “ugly” fish and shellfish have been consumed by hungry humans for generations, and I doubt that anyone – other than Daniel Pauly and his associates – have ever decided not to eat any of them because they’re too small or not pretty enough. Fishing down the food chain? Fishing up the food chain? How about fishing it sideways? In 1998 Pauly made his notorious, and probably his most controversial, pronouncement of imminent ocean doom due to fishing. To wit, fishermen had caught too many of the top predators in the world’s oceans and as a consequence were catching fish and shellfish lower down on the food chain, and that without more controls on fishermen we were destined to a future with oceans inhabited by nothing but jellyfish and plankton. In Issues For Debate in Environmental Management he is quoted “we are eating bait and moving on to plankton and jellyfish…. My kids will tell their children “’eat your jellyfish.’” The truth of the matter is that if his children lived in Japan or China or in a bunch of other places in Asia they might be telling their kids to “eat your jellyfish” at this very moment. Needless to say, Pauly is once again attempting to make the commonplace a harbinger of his supposed imminent “oceans crisis.” In fact, dried jellyfish have been a staple of Asian cuisines for millennia. According to Jellyfish fisheries in Southeast Asia by M. Omori and E. Nakano (Hydrobiologia 451: 19-26, 2001) “a few large jellyfish in the order Rhizostemeae constitute an important food in Chinese cooking. For more than 1700 years they have been exploited along the coasts of China.” This would appear to make Pauly’s belief in the evils of modern fishing based on jellyfish consumption somewhat untenable. It’s highly unlikely that commercial fishermen – or whatever they might have been called back in 200 Anno Domini or thereabouts – had fished down their food chain, so that sort of leaves out jellyfish consumption as an indicator of much of anything other than a desire to eat jellyfish. But it appears as if something as ancient and as culturally acceptable as eating jellyfish can be distorted to reinforce his crisis mongering, he’s going to use it. It appears that – at least at the time and perhaps still – he believed that fisheries scientists arrived on the scientific scene in discrete generations, once every 25 years (that’s what a human generation is generally accepted to be), to replace the previous generation, and that the new generation discounted everything that the previous generation observed and recorded. As compelling as others of his fables are, on the face of it this seems to make sense. But does it really? I strongly suspect that if you visit a college/university fisheries department (perhaps the University of British Columbia’s) or a government research facility (perhaps the NOAA/NMFS Northeast Fisheries Science Center in Woods Hole, MA) you won’t find a staff of scientists of similar or identical age, none younger and none older. I sure haven’t. You’ll find scientists and technicians beginning their careers, ending them, and at every stage in between. And those scientists and technicians don’t start from some particular point in amassing new data and coming up with new theories. In spite of Pauly’s contention – because it makes his indictment of modern fisheries science and modern fisheries scientists seem more believable – they base their work on what’s been done before. For example, the bottom trawl surveys performed annually by the Northeast Fisheries Science Center in Woods Hole, MA go back to 1950, spanning most of three generations. But, in spite of Pauly’s contention,, they were certainly not performed and analyzed by three separate and distinct cohorts of scientists and technicians who paid no attention to the survey results obtained prior to when their “generation” took over. The results of these surveys provide the foundation for the assessments of many of the species in our northeast region. Among other things, science – at least science as performed by most scientists but perhaps not by Pauly and his “generation” at UBC – is a continuous process, scientists building on, adding to or subtracting from the work of their predecessors. But Pauly’s shifting baselines construct demands that this not be the case, so like all of us who at some point in childhood believed that by wishing we could bring Tinker Bell back from wherever fairies went to after exiting Wonderland, he apparently believes – or wants us to believe – that reality actually mirrors the world he has imagined to support his pronouncements. And as far as his “creeping disappearance of resource species” is concerned, I have yet to learn of any species that has been driven into oblivion by fishing. By creeping development, damming of rivers, habitat degradation and pollution? Yup, but by fishing? The only reasonable response to that would be “show me.” Of course it could be argued that because of fishing the populations of all targeted species are reduced. That’s axiomatic – fishing kills fish. But to refer to that as“creeping disappearance” is just more of the same old same old. 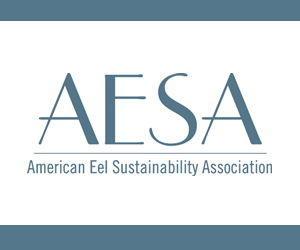 There are, however and unfortunately, some actual, real-life shifting baselines that have nothing to do with fishing that do have a significant impact on finfish and shellfish resources. Primary among them would be those involving the quality of inshore and offshore waters and habitat. Think disappearing wetlands, think household chemicals pollution, think oceans permeated with plastics, think the continuing mass migration of us humans to the coasts. In any instances that are characterized by not enough fish, that lack of fish is far more likely to be a result of these real shifting baselines that it is of too much fishing. In a short paper in Nature Communications titled Catch reconstructions reveal that global marine fisheries catches are higher than reported and declining Pauly and co-author Dirk Zellar conclude that the world’s fisheries are in even worse shape than had been previously thought because, for a number of plausible seeming reasons, the Food and Agriculture Organization of the United Nations (FAO) has been under-estimating the world’s fish/seafood catch to an increasing degree for the last 30 or so years. The primary problem with the approach that they used in their analysis is that the harvest of a particular fish stock often has nothing to do with the health of that stock. 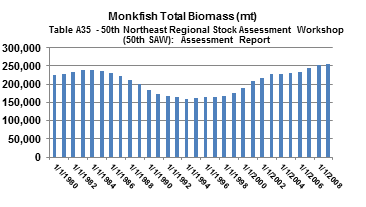 As the following graphs show, the only discernable relationship between the monkfish (also known as lotte, one of Dr. Pauley’s so-called “ugly” fish that in spite of his theory to the otherwise has been a staple of Asian and European cuisine for generations) harvest and the monkfish total stock biomass is a fairly dramatic and pronounced inverse one. I looked at the data for a few other U.S. fisheries and in some the catch went up and down as the biomass varied up and down, some as it varied down and up, and in some there was no relationship between catch and biomass, but, at least with our domestic fisheries, I would be extremely skeptical about making any judgements on the health of a stock based solely (or primarily) on catch statistics. .It appears as if Pauly and Zellar have fallen into a trap that many people with little or no familiarity with fisheries do. 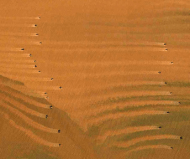 Their methodology assumes that the only thing that drives commercial harvesting is the availability of the particular fish or shellfish being harvested. Nothing could be further from the truth. Fuel costs, foreign exchanges rates, bycatch avoidance, import/export requirements, management measures, competing products, the El Niño/La Niña cycle or the North Atlantic Oscillation (or other decadel or longer duration climatic or oceanic events), natural or man-made catastrophes, other easier/closer/more rewarding alternative fisheries, supply and demand and undoubtedly a number of other factors can and often do impact the level of harvest more than the availability of the particular fish or shellfish. Dr.Pauly apparently still believes that, in his attempts to conflate science with celebrity to push forward his idea of sound bite fisheries science, that scientific rigor should take a back seat to titillation. Of course this needs to be coupled with Microsoft’s commitment to the future of “cloud computing” (for those readers who have successfully avoided advanced Nerdhood up until now, the “cloud” is just a lot of web-connected servers housed in what are called server farms. Server farms are becoming increasingly expensive to operate shoreside – see the NY Times article linked above) and do a Google search on “microsoft cloud future” to see where the tech industry thinks Microsoft is heading vis a vis cloud computing. Is it possible that in the near future we’ll be reading foundation-funded research reports from our neighbors in British Columbia “proving” that submerged server farms put in place by the well-known Redmond conservationists provide much needed shelter for a myriad of marine creatures that are threatened by those rapacious fishermen? Or that Marine Protected Areas are a really logical place to put those submerged servers? February 22, 2016 — Global sea levels appear exquisitely sensitive to changes in temperature and greenhouse gas levels, according to a set of new studies that examines up to 6 million years of climate change data. The four papers, published today in the Proceedings of the National Academy of Sciences(PNAS), illustrate the growing power of computers to simulate complex interactions between climate, polar ice, and the planet’s oceans. They also underscore the effects that rising greenhouse gases and global temperatures could have on future sea level. Some of the studies provide a detailed account of changes in sea level and the Antarctic ice sheet, a story embedded in fossils and rocks at the ocean’s edge. They also add to a growing body of research that suggests sea level can change more dramatically over a short time than previously suspected, says Andrea Dutton, a University of Florida in Gainesville geologist and a leading expert on reconstructing ancient sea levels. The first study found that small temperature fluctuations have led to measurable changes in ocean levels over the past 3000 years. As the global thermostat turned down just 0.2°C between 1000 and 1400 C.E., for example, the world’s seas dropped an estimated 8 centimeters. By contrast, they have risen about 14 centimeters in the 20th century. At least half of that increase is due to human-induced climate change, say the researchers, who add that sea levels are very likely to rise another 0.24 to 1.3 meters during this century. The study’s results come in part from measurements of past sea levels gathered at 24 sites around the world. When there were no good written records from tide gauges, scientists relied chiefly on the shells of single-celled creatures called foraminifera or “forams,” which dwell in the muck of saltwater marshes. The marshes’ location at the border between land and sea—along with their relatively flat topography—make them a handy yardstick of sea level changes. In the new study, geologists extracted sediment cores from marshes and then painstakingly recorded the number—and types—of different foram species in different layers. The numbers indicated the mix of saltwater and freshwater, which correlates with sea level, Horton says. 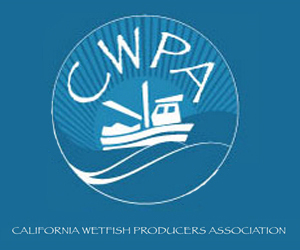 February 18, 2016 — SANTA ROSA, California — The California Department of Fish and Wildlife (CDFW) invites the public to attend its upcoming annual Ocean Salmon Information Meeting. A review of last year’s ocean salmon fisheries and spawning escapement will be presented, in addition to the outlook for this year’s sport and commercial ocean salmon fisheries. February 17, 2016 — Warming waters in the Atlantic and Pacific oceans have increased the prevalence of diseases that are turning sea stars to mush and killing lobsters by burrowing under their shells and causing lesions, two new studies say. The outbreaks are so lethal, according to a biologist involved in both studies, that at least one species of sea star has vanished off the coasts of Washington and British Columbia and the lobster fishery, already decimated in southern New England, will likely be threatened in Maine. In the Pacific, a wasting disease is blamed for the disappearance of the technicolor sunflower sea star. It’s also laying waste to the ochre sea star that scientists at Cornell University, the University of Puget Sound and Northeastern University, as well as other institutions, examined for the latest research. Their reports were published this week. Numerous climate studies have shown that the oceans are warming. In addition, 30 percent of the carbon released into the atmosphere ends up there, leading to acidification that’s further destroying coral, shell life and other organisms. The sea-star study was led by Morgan E. Eisenlord, an evolutionary biologist at Cornell, and published in the Proceedings of the Royal Society B. Both in a laboratory and at 16 sites on the San Juan Islands off Washington’s coast, researchers determined that ochre sea stars gradually became sicker as water temperatures rose slightly. Conditions simulated in the lab confirmed what the scientists observed in the field. As temperatures rose, the disease became more prevalent, and adult ochres died within days. The disease, plus death, was more prominent in temperatures between 54 degrees and 66 degrees Fahrenheit. For the adults, the risk of death was 18 percent higher at 66 degrees.